Detail, McCall Style News, March 1931. 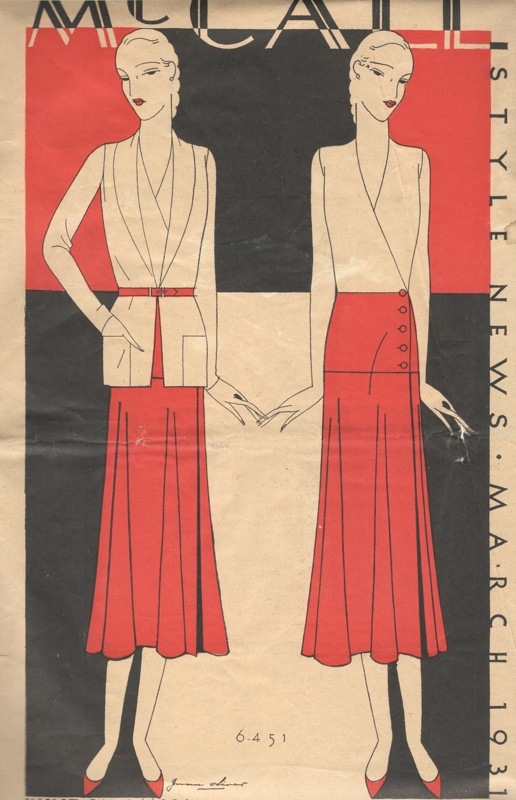 Vionnet advertisement, 1926. Illustration: Reynaldo Luza. Image: HPrints. In recent years, those who wished to reproduce a Vionnet design could trace their pattern from a book. Janet Arnold’s Patterns of Fashion 2: Englishwomen’s Dresses and their Construction, c. 1860-1940 (Macmillan, 1982) includes five Vionnet patterns, and the Japanese companion volume to Kirke’s book (Bunka Fashion College, 2002; available on amazon.co.jp) contains tested, traceable versions of twenty-eight of Kirke’s Vionnet patterns. Costumer Koshka has made the 1919 Vionnet dress in Patterns of Fashion, while the Vionnet Identique project saw all the designs in Kirke’s book made up in half-scale for an exhibition and book (for photos see this Threads post and the book preview). Label from an evening cape by Madeleine Vionnet, ca. 1930. Image: Metropolitan Museum of Art. 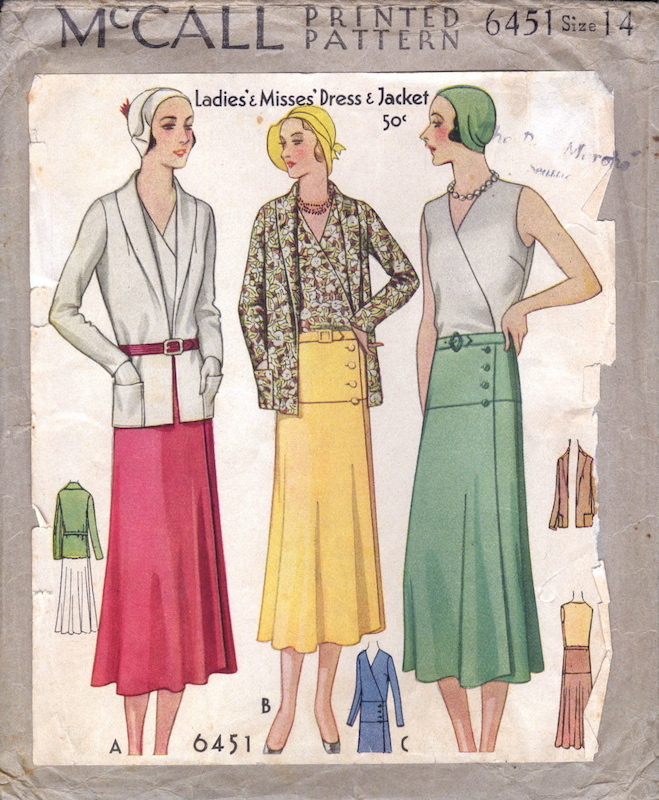 In the 1920s and 1930s, dressmakers could sew Vionnet designs using commercial patterns. 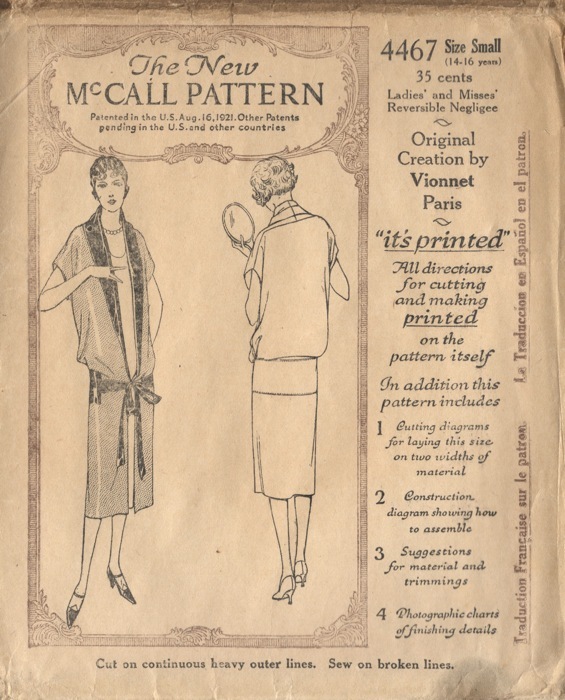 McCall’s released patterns based on Vionnet originals, while companies like Pictorial Review sold adaptations of Vionnet designs. 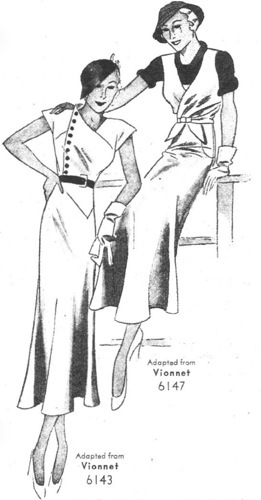 Here is a selection of Vionnet patterns. McCall 4467 by Vionnet (1926) Reversible negligee. McCall 4468 by Vionnet (1926) Dress. McCall 4855 by Vionnet (1927) Evening dress. Image: eBay. McCall 5635 by Vionnet (1928) Dress. 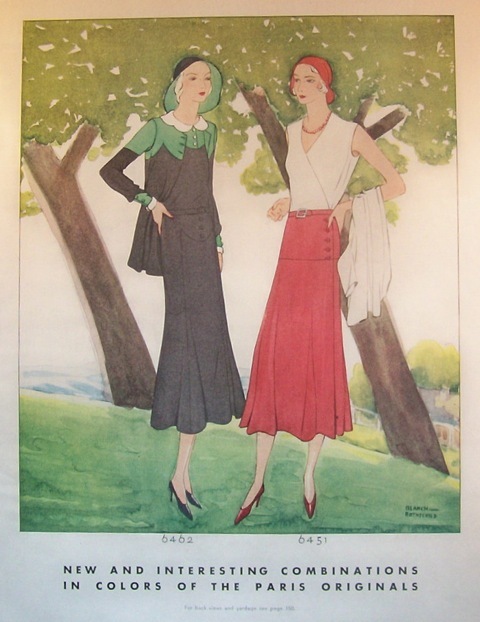 Illustration from McCall’s magazine, April 1929. 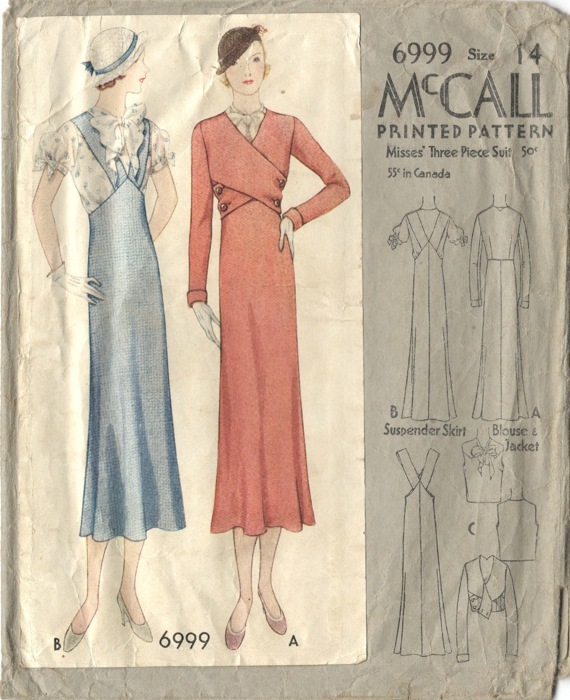 McCall 6451 by Vionnet (c. 1931) Image: eBay. Pictorial 5592 adapted from Vionnet. Pictorial Review, June 1931. 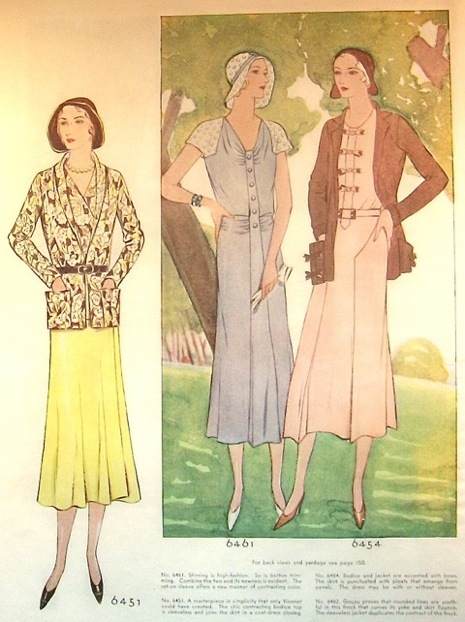 McCall’s magazine, 1931. Image: Etsy. 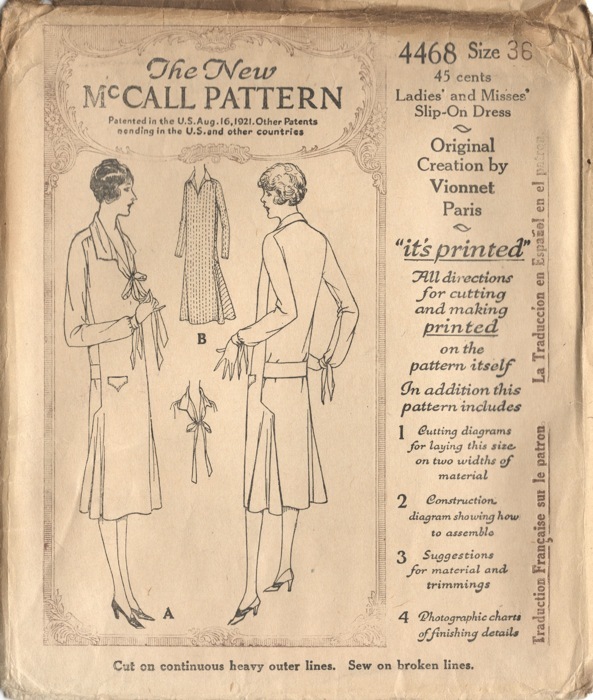 McCall 6451 by VIonnet, McCall Style News, March 1931. Pictorial 6143 adapted from Vionnet (1932) Dress. 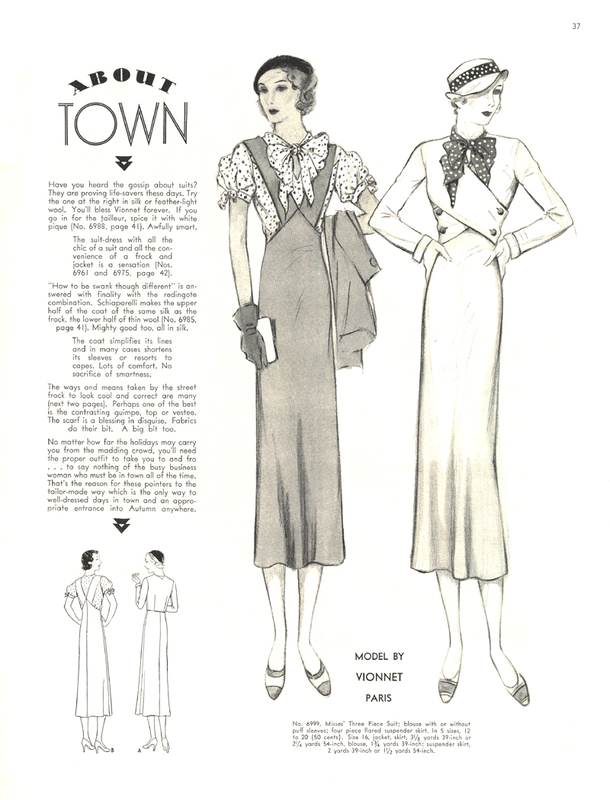 Pictorial 6143 and 6147, both adapted from Vionnet. Pictorial Review, July 1932. 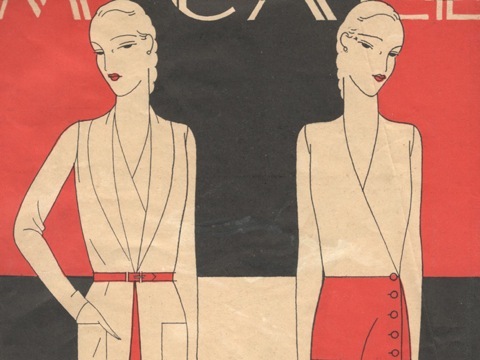 McCall 6999 by Vionnet (1932) Three piece suit. 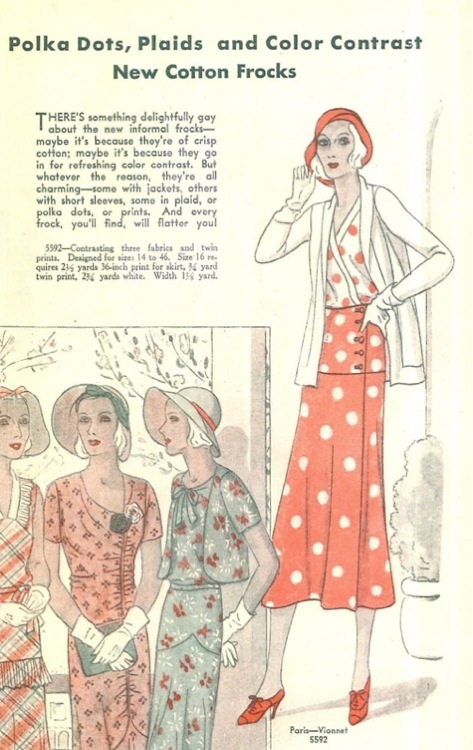 Illustration from the McCall Fashion Bi-Monthly, July-August 1932. Image: carbonated on flickr. And if you’d like to try your hand at some Vionnet-style fabric embellishment, the Center for Pattern Design sells a pattern for Vionnet roses. Madeleine Vionnet is said to have considered herself a “geometrician”; the brilliance of her technique reveals itself in her garments’ construction. Have you tried making any Vionnet designs? an absolutely fascinating post. 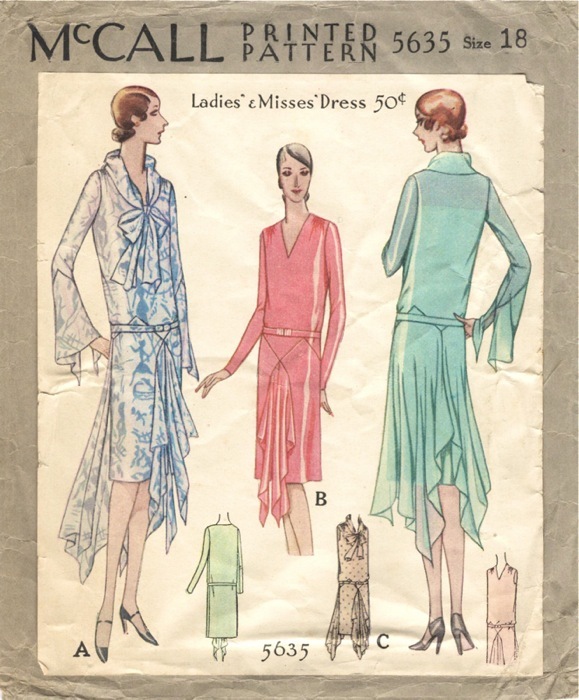 the images are so gorgeous- makes me want to try a pattern (although 21st century self would hardly fit the 1920s ideal.) and great commentary – unpacking the ideals behind the images…thanks! I haven’t sewn any vionnet design yet, but I made a paper mock up of her spiral dress – it’s amazing! I am glad to know Kirke’s book is back on print. Thanks for the wonderful post! Sweet, thanks for all the link-you’ve obviously compiled a lot of research effort here-on an aside, the Japanese book doesn’t have traceable patterns-they’re grided i.e. you have to enlarge them manually/ by scanning and vectorisation. That diagonally seamed dress is making my mouth water! thank you as always for an informative and inspirational post. i just scoured the internets for a copy; in addition to amazon.co.jp, it is available through etsy seller pomadour24 (as of this comment, 14 dec 2012). Awesome, thanks for this, Devra! It’s going on my wishlist..
wow, stunning illustrations and designs! it’s nice to know the back-story on this amazing designer, whose images i’ve always admired. Thank you so much for this post- so inspiring! Your illuminating presentation of Mme. Vionnet’s work is wonderfully well done. Thank you. As always, your research is thorough, organized and interesting. This was fascinating, I learned so much! Thanks for gathering all this together and sharing. Wow, thanks, everyone! I’m so glad you enjoyed my research-in-progress. I really love the last look pictured… the one on the right. Such an informative article, thank you for sharing.